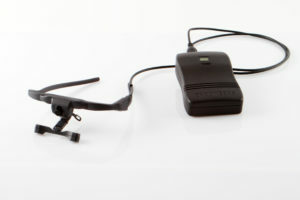 The new wearable eye tracker Dikablis Glasses 3 is the latest development of the Ergoneers product portfolio. 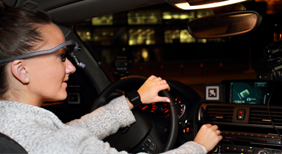 Our customers benefit from many new advantages combined with unique characteristics, which arises from more than ten years experience developing eye trackers. Eye tracking is a versatile method used in research and science. The eyes reflect the thoughts and behavior of a person. This happens completely unconsciously and cannot be controlled by humans. This includes not only eye movements and glances but also the size change of the pupils. The size of the pupils also provide information about the mental workload of a person. 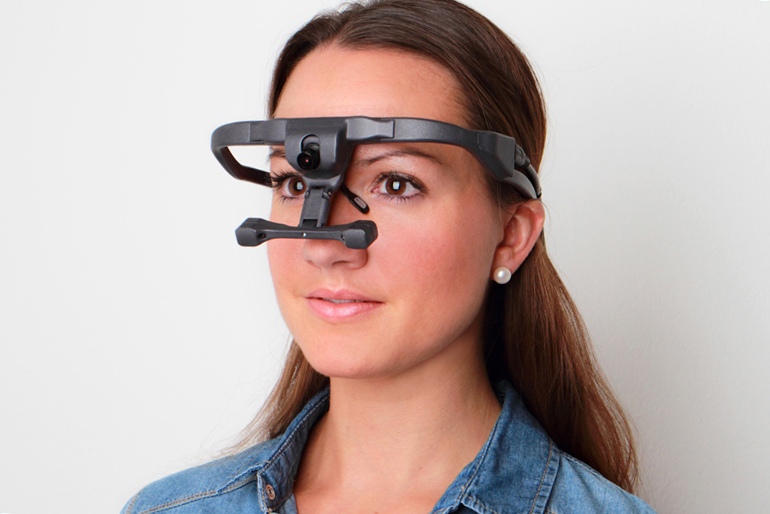 For the measurement and analysis of the eye’s behavior, an appropriate device is required: The eye tracker or the eye tracking glasses. There are different models and technologies. However, it is important that the eye tracker is suitable for use and, above all, that it does not affect or restrict people’s behavior. 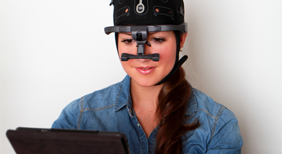 If the trial requires very active movements (e. g. sports) from the test person, the eye tracking device must be nonslip and sit well on the head. It is also important that the system is lightweight, so that the test person feels comfortable and the wearing comfort is as high as possible. The design and flexibility of the eye tracking glasses also have a positive effect on a natural behavior of the test person without the feeling of being observed. 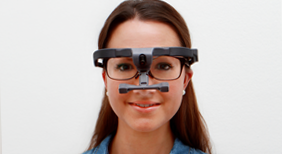 Due to the adjustability of the cameras, nose pieces and lenses the wearable eye tracker Dikablis Glasses 3 fits on any different kind of head shape and can be used with people using prescription glasses. As a result, there are almost no restrictions on the composition of the experimental group. 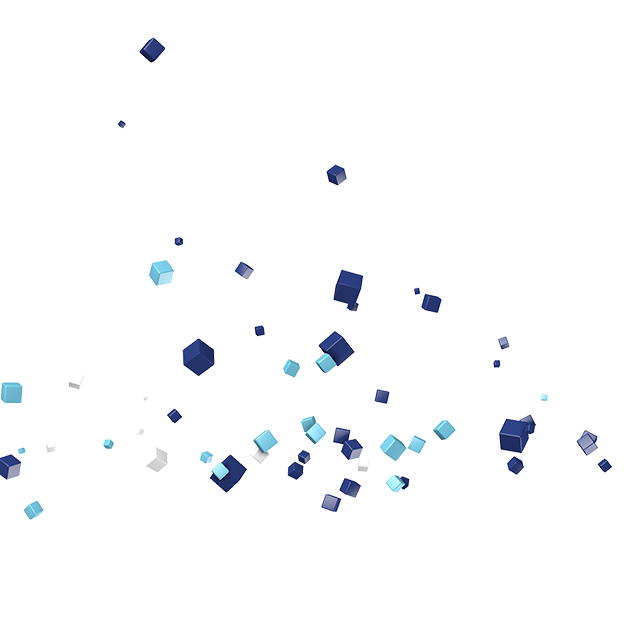 The possibility to send the data via WLAN and without any cable to the measurement and analysis software for eye tracking, D-Lab, allows a lot of freedom of movement. Thanks to the high-quality technologies that Ergoneers uses in its products, studies with an eye tracker can be carried out at night or in poorer light conditions. Precision, high-quality and futuristic design are the highlights offered to our customers with the new eye tracker Dikablis Glasses 3. 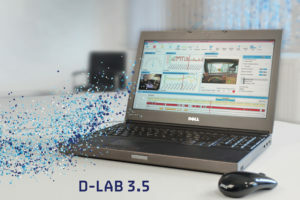 Together with our software platform D-Lab we equip our customers perfectly for their studies. The modular software enables you to record and evaluate not only eye tracking data, but also other data such as audio, physio, video, etc. synchronously. 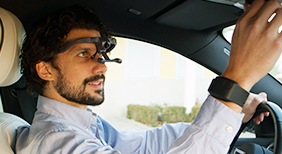 In addition to the two previous versions of the eye tracking glasses Dikablis Essential and Professional as well as products from other companies in the field of behavioral research can be used together with our software.